In collaboration with staff and a group of students known as the Green Team, Urban Reforestation designed and constructed an educational learning garden at Brentwood Secondary College. 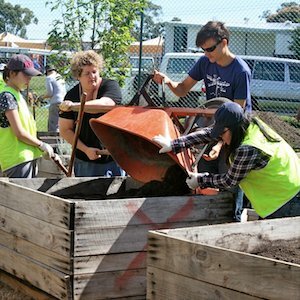 This is our flagship secondary college school garden project. The aim of the garden is to teach students about the environment and sustainability through gardening, sustainable living programs, energy and water efficiency and much more. 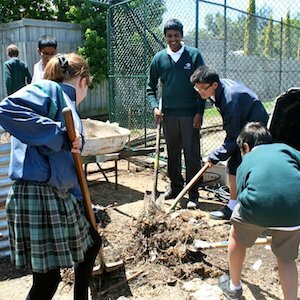 The Green Team consists of 45 student volunteers in years 7-9, all interested and engaged in creating a healthier environment in their community. Brentwood Secondary College Learning Garden is used by the Green Team to plant seasonal vegetables that they take home and enjoy with their families, or sell to the teachers at a modest profit. All proceeds raised are then reinvested into the next season’s plants.